Yesterday I had what may well be my penultimate counselling session. During the winter last year I came to the realisation that my depression needed properly tackling. In recent years I have become ‘comfortable’ with the adjective Depressive to describe myself – it was a helpful shorthand for my ups and downs and helped me understand some of the repetitive patterns in my life. Last year, while in Southborough, MA, I decided that I needed to tackle this part of my nature more head on. I came back from the States and started both counselling and antidepressants. The last year has been a journey of management, adaptation and trying to understand myself. It has been about finding things that aid stability – and encouraging them – and those that destabilise – and avoiding those! Its strange when in a mechanism that has become normalised, where you discuss your fears, your apprehensions, your concerns, you suddenly realise that you don’t know what to talk about. But that’s what happened to me last night. I sat ‘facing’ my counsellor (we do sessions over Skype) and realised that I didn’t have anything to say… and that was a good thing. Its not that I am no longer depressed. Or worried. Or that instability has left my life. Not at all in fact. But those things are not looming over me to the same extent. Maybe it is the medication, maybe it is the mental exercises I have been trying to teach myself, maybe it is spending time in relationship once again… (probably a combination of all three) but that depression is… manageable, right now. And I am hopeful that it will stay so. Even though my ‘stable’ job is coming to an end, even though relationship brings up all sorts of issues. Even though I am still out of love with London, and community has some real issues. Because I think I am beginning to understand this thing that has been part of my life for so long (perhaps always). And with that understanding comes a journey in learning to manage, to survive, to not be overcome. In the past, the model for life has been simple. Obvious. Find a career. Move up the ladder. Get married. Buy a house. Have kids. Move to a bigger house. Sell up and move to country. Retire. Play golf. Leave the house in the country to the kids. This old model has served our parents well, but it isn’t open to me. The expectation of ever-increasing house prices – of housing as investment – has lifted the value of property beyond what is achievable to low-middle income earners such as myself. The average house price is now too many times the average income, and the era of cheap credit is over. It just isn’t conceivable that I, as a single person with my historic income could buy a house let alone one big enough to raise a family in. Demographic changes mean that the pension/retirement model is broken beyond repair. There are not enough workers to support the number of retirees, and it is getting worse. The average pensioner is living longer, and couples are having less children. For my generation, a comfortable retirement is only really conceivable for the highest earners. Private pensions funds are becoming bankrupt and the state will increasingly struggle to support the growing number of pensioners, many of them on dangerously low incomes. The comfortable, financially secure future – the middle class dream – is fast becoming fantasy. It is unlikely that I will earn enough to achieve it. I have neither the capital, nor the job security, to build that type of security. I have no desire to abandon myself to a life of insecurity, a permanent now of short-medium term jobs, rented apartments, living in the transient ‘communities’ of the bigger cities. I have the same desire for place, for family, for security and stability that our parents and grandparents did. I don’t see why we should abandon our desires for family life because the models of previous generations have been broken. Instead of tearing our clothes in despair, or resigning ourselves to a life of transience and impermanence we need another model, another possibility of achieving the same aims. It is easy to decry societal change, financial hardship and the death of the family. It is far harder to come up with a solution. There are some things that are dying that I have no desire to resurrect. I don’t want to spend the last 30 years of my life playing golf and going to the theatre. I don’t particularly feel that society ‘owes’ me anything, or have an expectation that they should provide for me – either now or later. But there will come a time when I can’t work, either for health reasons or old age, and I would hope for some structure to support me. I don’t know now if marriage and children are possible for me. I have to be realistic. It is not impossible, and it is desired, but such things are out of my control. But I have no desire for an isolated, lonely future. I don’t want to live a life without children in it, whether or not I have my own. I have a desperate longing for family. But family can take many forms. My hope is that intentional community and collective ownership can be an alternative, an antidote, to the decayed and broken current model. That it is possible to gather together with like-minded individuals and create a space, a home, a sense of family that can be self-supporting and enduring. That a group of people can together own property, create a home, develop a collective financial security, raise children, care for one another in sickness and old age and endure beyond the death of the original members into perpetuity. I also hope that, beyond this, it would be possible to create something that can have a positive impact on the wider community in a geographic area and even, to an extent, society as a whole. That a community might be able to collectively demonstrate alternatives to the usual patterns of life. The question, of course, is how you do that. How do you build community over the long term? How do you overcome the barriers of finance and property, especially when money is so easily a source of conflict? Suggestions on a postcard (or debate in the comments) gratefully received. NASA offers its condolences on today's passing of Neil Armstrong, former test pilot, astronaut & the 1st man on the moon. Neil was 82. We don’t have many heroes in our modern, cynical age. Even fewer gods. In a time where almost any achievement seems open to almost anyone, there are few things that leave us truly awestruck. Truly humbled. Neil Armstrong was a man who achieved something that most thought impossible (and unfortunately some still do). He stood upon the face of another world. Armstrong was the pinnacle of a truly Herculean endeavour, where thousands of mere mortals worked together to show that even the very heavens were within our grasp. That the celestial bodies our ancestors worshiped could be reached out to and touched. The first man to set foot on another world. Armstrong, with his compatriots Aldrin and Collins, returned to earth as heroes. To worldwide adulation and acclaim. We would expect an ordinary human to crumble under the pressure, or be revealed as somehow fragile and deficient. It was Armstrong’s genius that he became a cypher – he retreated from the public eye, gave few interviews and fewer appearances – and allowed us to see him as a living monument to human achievement. 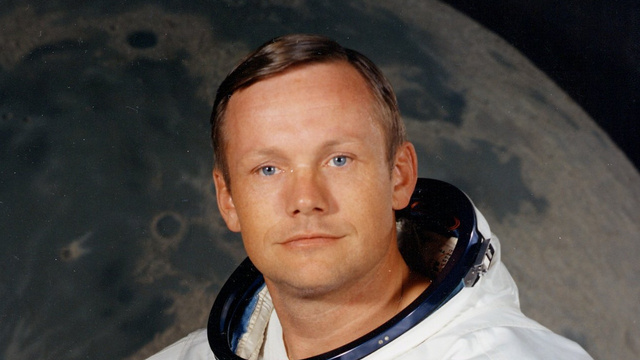 Neil Armstrong died today at 82 years of age. A true hero, in the homeric sense of the word. And the world is poorer for his passing. In the late 60s and early 70s, 12 men walked on the moon. There are now only 8 of them left among us. …by those that watch over us. I’m in Texas right now. Over the last month or so I have stayed in at least six different households. Every single one has responded to my (and often several other people’s) invasion with a great deal of generosity, going far beyond what is necessary. They have opened up their homes and their lives, showing us their cities, feeding and watering us (and rarely letting us pay for anything). I am awed and humbled by this generosity. And I dearly wish I could reciprocate. Hospitality is a key part of Matryoshka Haus life. It is part of how we define ourselves as a community, and it is how we want to express ourselves to the world – by opening up our homes to strangers and friends, thinkers and dreamers, wounded travellers all. It is one of the characteristics of MH that is most meaningful to me and why I am so committed to them. But I am keenly aware that I am almost always the recipient of this hospitality, rather than the provider of it. And that saddens me. Over the last few days an unexpected crisis has seen me decamp to Dallas, a town that was never on the itinerary for this trip. At very short notice an amazing couple called Dawn and Mark have opened up their home to me, despite significant chaos in their own lives right now (they are in the process of selling their house and getting ready to move – possibly out of the country). And they did so unthinkingly, because radical hospitality is so ingrained in their DNA. I only wish that I could do the same. I don’t have a house to go back to next week. It looks like it may be a while before I find a place to be “mine”. Something is nagging in the back of my mind telling me my nomad days are not over yet… But that means it will still be some time before I can host others, before I can offer the kind of hospitality I have received. I do hope it’s not too long.